Crime time continues for Michael Avenatti, the fame hungry former attorney of Stormy Daniels, who was arrested last month over an alleged scheme to extort $20 million from the athletic company Nike. Now, a federal grand jury in Santa Ana, California has charged Avenatti with dozens of financial crimes, from fraud to embezzlement. Avenatti, it seems, stole millions of dollars from his clients, including a mentally ill man with a disability, to pay for his lavish lifestyle. Johnson, who was suicidal, jumped twice from an upper floor of the jail, injuring himself so badly the second time that he can never walk again, according to the suit. According to the Los Angeles Times, Johnson, who receives Social Security disability payments, asked Avenatti in November 2018 to provide details of the settlement to the Social Security Administration. When Avenatti did not do so, “knowing full well that the requested information could lead to inquiries that could reveal” his theft, according to the indictment, the government then cut off Johnson’s disability payments. Johnson was not the only client whom Avenatti allegedly stole from. As the Los Angeles Times reports, in 2017, Avenatti received $2.75 million for another client’s settlement, and then used $2.5 million of those funds to buy a private jet for one of his companies. That private jet has now been seized by the federal government. 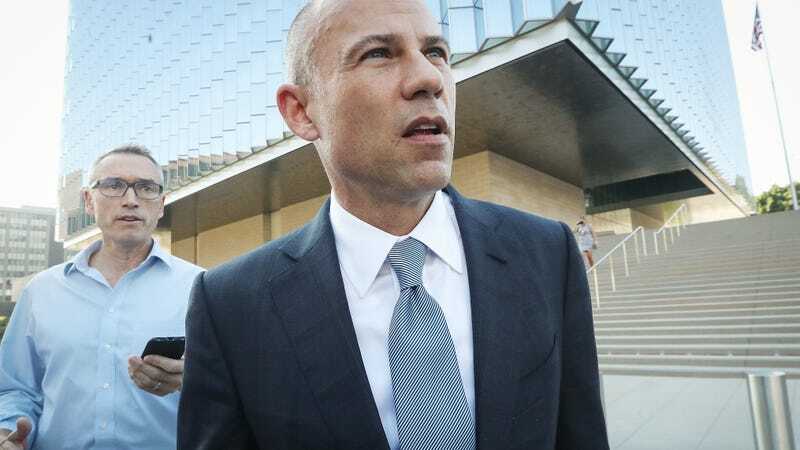 Between these new charges and the charges over his alleged attempt to extort Nike, Avenatti is facing a maximum of 382 years in prison. Aside from stealing from his clients, Avenatti has been accused of many, many, other crimes, from tax evasion to concealing his assets. You can read all about them here.